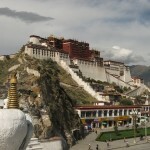 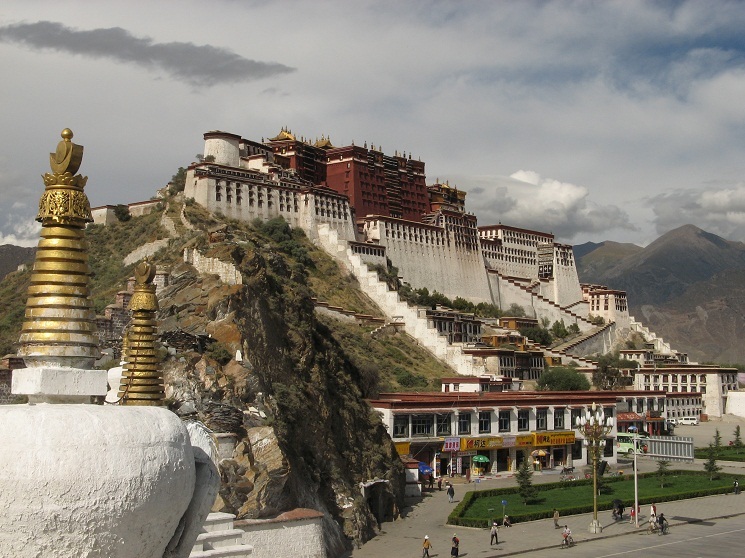 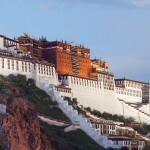 The Potala Palace (presently a museum as well as a World Heritage Site), situated between the Sera and Drepung monasteries, was the former winter residence of the Dalai Lama up to the point when Tenzin Gyatso (the 14th Dalai Lama) escaped to India because of the 1959 Tibetan Rebellion. 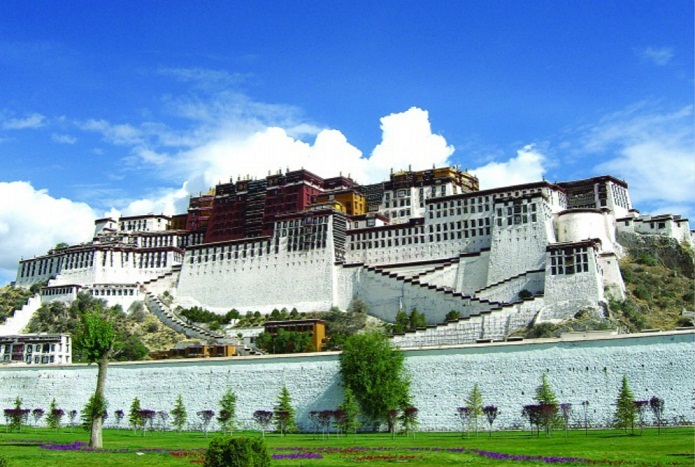 The palace, founded in the 7th-century, is an iconic structure that represents the role of Tibetan Buddhism in the administration of Tibet. 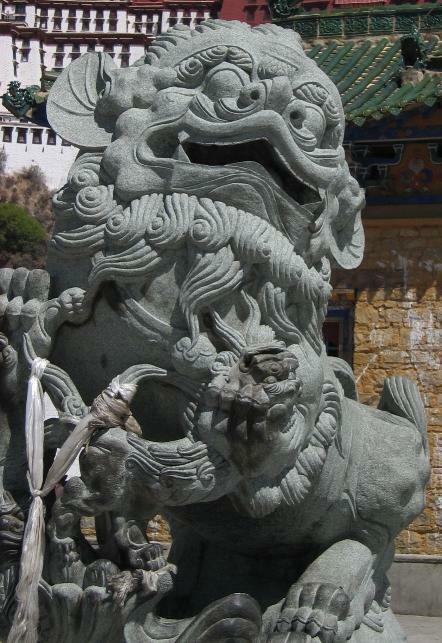 It had been named after the Mt. 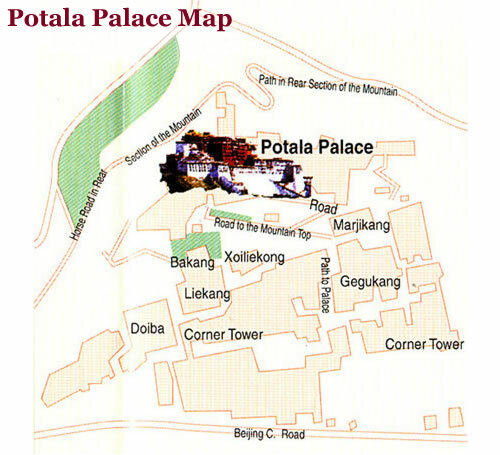 Potalaka, which is believed to be the dwelling of the bodhisattva Avalokitesvara. 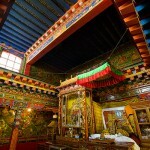 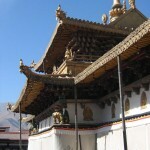 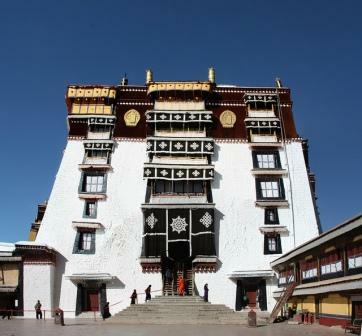 The Heritage Site also comprises the Jokhang Temple and the Norbulingka. 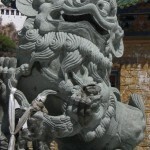 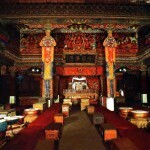 The historic structure has been constructed over a palace that was erected on the Red Hill by Songtsan Gampo. 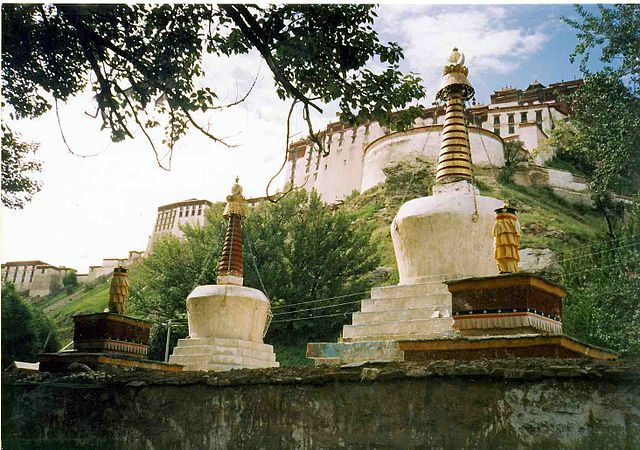 The Potala Palace consists of two chapels – the Chogyel Drupuk and the Phakpa Lhakang retain some of the portions of the original structure. 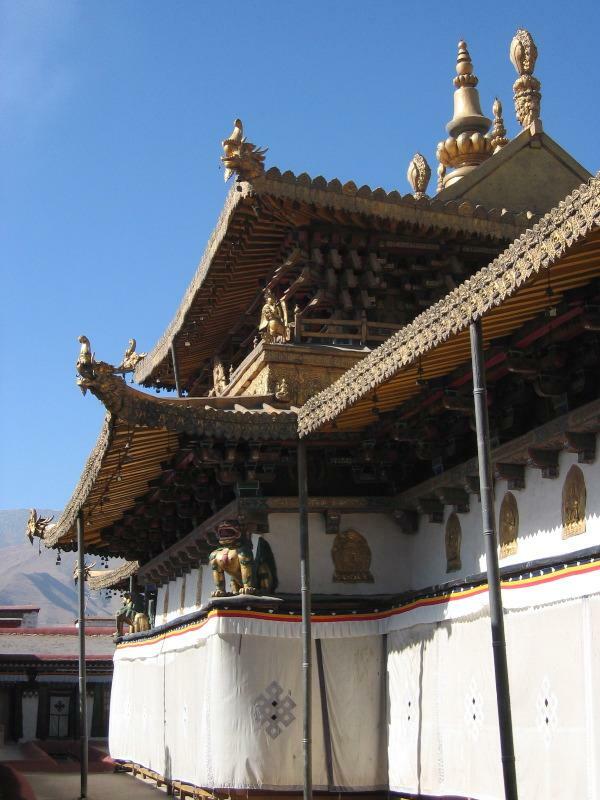 Construction of the new palace was started in 1645 by the Fifth Dalai Lama (Lozang Gyatso) after the site was deemed suitable as the seat of the government. 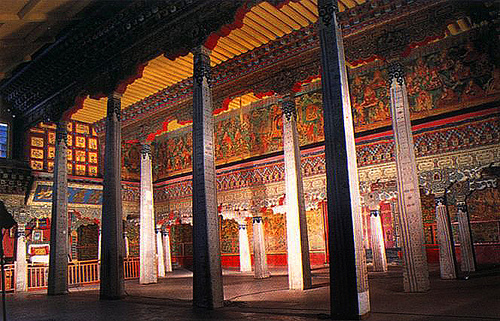 While the external structure took 3 years to complete, the palace interiors were completed in 45 years. The Dalai Lama along with his government shifted to the White Palace (Potrang Karpo) in 1649. 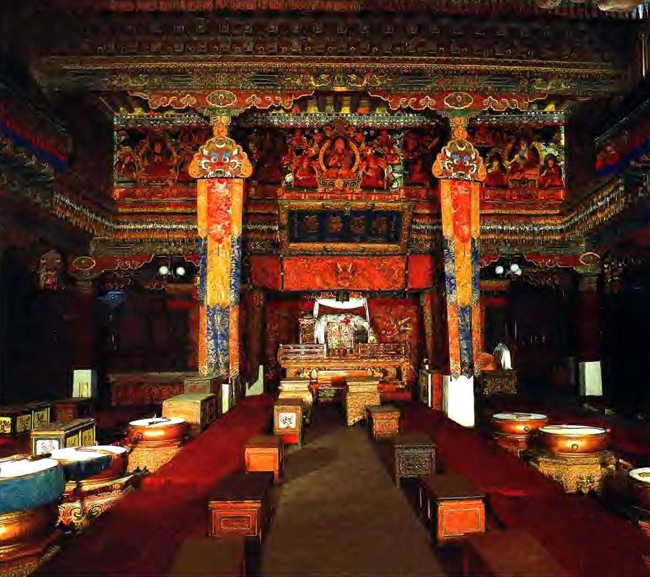 The Red Palace (Potrang Marpo) as well as its ancillary buildings were added to the complex during 1690-1694. 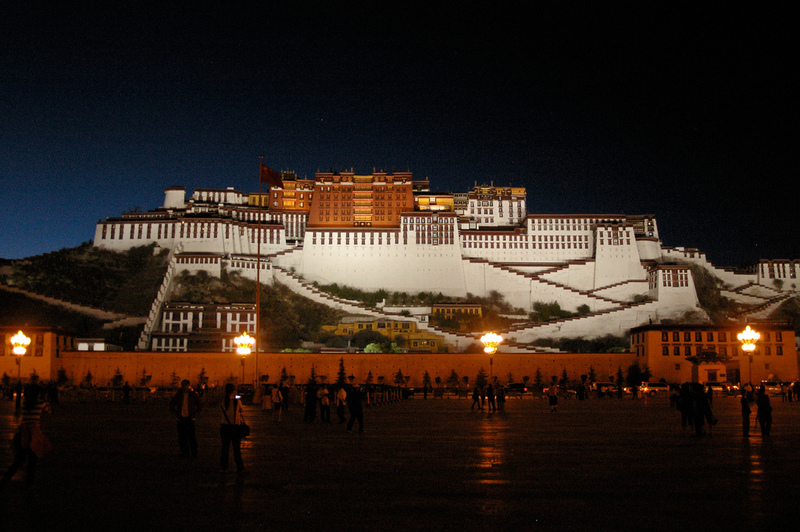 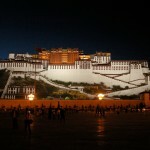 During the Tibetan rebellion in 1959, the Potala Palace was partly destroyed by Chinese shells that were hurled at the windows of the palace. 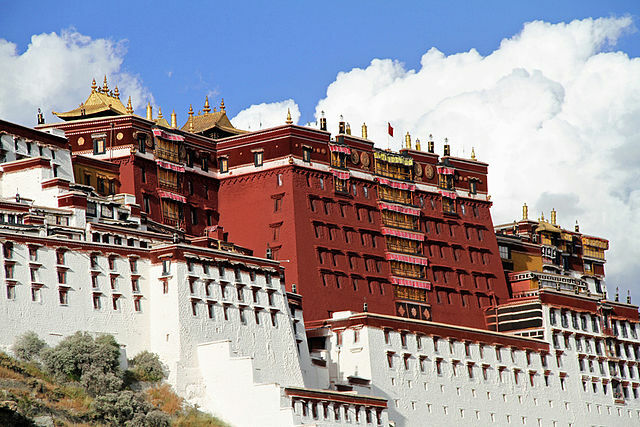 The Potala Palace, constructed on the Red Mountain at an elevation of 12,100 ft, has flat roofs and inward-sloping walls that are separated by rows of numerous windows. 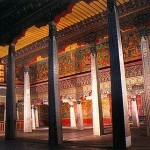 A large space with great porches and surrounded by walls can be found at the base. 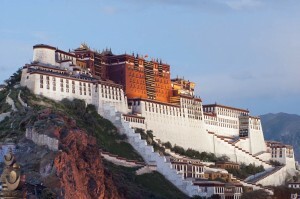 The summit is accessible by a series of staircases. 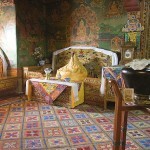 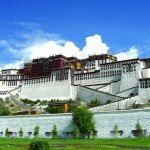 The Potrang Karpo or the White Palace was the temporary living place of the Dalai Lama. 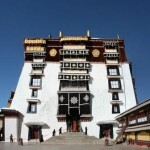 Though it was constructed during the reign of 5th Dalai Lama in the 15th-century, it was extended in the 20th-century by the 13th Dalai Lama. 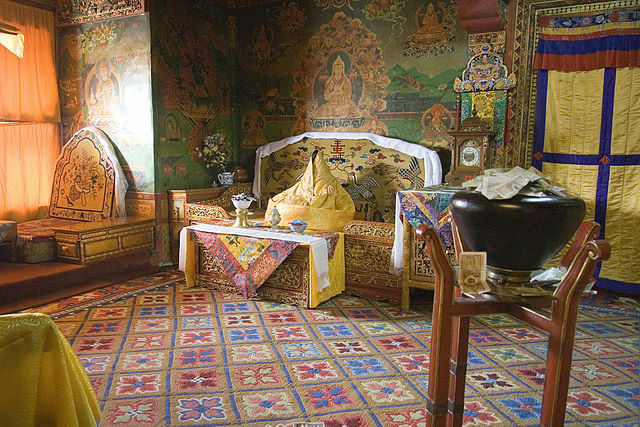 Apart from the living quarters, the palace includes the ceremonial hall containing Dalai Lama’s throne, audience hall, and private rooms. 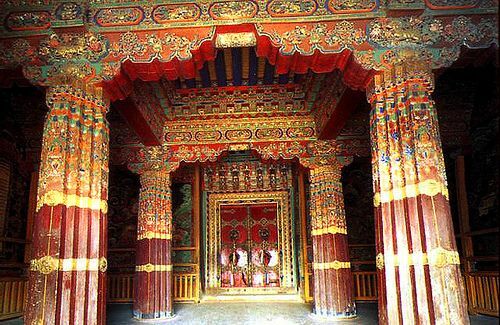 It also features around 10,000 painted scrolls, plenty of murals, sculptures, curtains, carpets, and items made of gold, silver, porcelain, and jade. 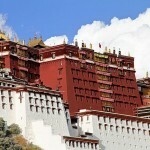 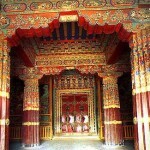 The Potrang Marpo or the Red Palace is located in the west high up on the mountain. 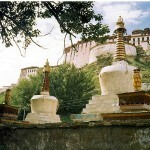 It has the burial stupas of previous Dalai Lamas. 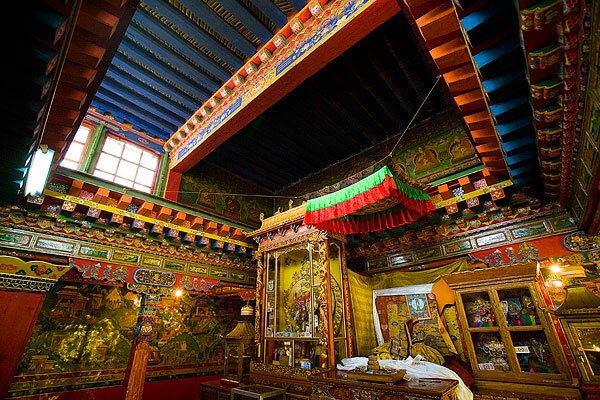 The palace includes an array of chapels, libraries, halls, galleries, and passages such as the Tomb of the Thirteenth Dalai Lama, The Saint’s Chapel, Great West Hall, North-, South-, East-, West-Chapels, and the First-, Second-, Third-Galleries.